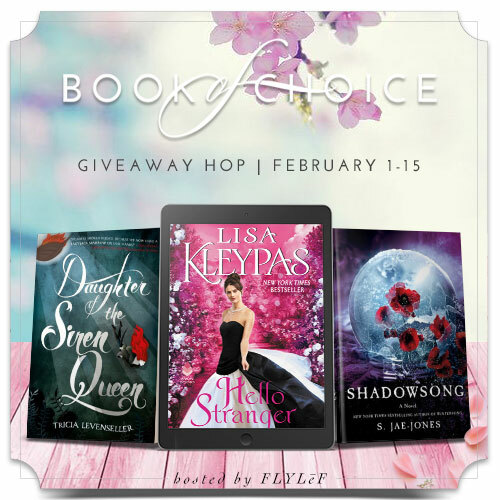 Enter this giveaway for a chance to win a February 2018 release of your choice worth $15. Good luck! Six Feet Under by Tanya Kappes. I love her books and always waiting for the next release. People Like Us by Dana Mele. A sharp YA psychological thriller that sounds just right for fans of Thirteen Reasons Why and Pretty Little Liars. "What's your most anticipated February 2018 book and why?" "Shadowsong" might be good! There are a lot, Honor among thieves, Pitch dark, Heart of iron, Queen of gods, The smallest part. So yes a lot. Daughter of the siren queen because I love pirates and strong female characters! Verona Blood by Lili St. Germain, because it sounds amazing. I'm looking forward to The Belles because I've never read Dhonielle Clayton but have been following her on Twitter. Surprise me by Sophie kinsella. Love her as writer and storyteller. Shadowsong as it looks like my kind of book. Oh man...I was just thinking about a series a couple of days ago and now I can't think of it. Guess I better start doing better with my wish list, but I would probably choose from there. Looking for to Becky Chambers follow up to the wonderful "A Closed and Common Orbit" (Wayfarers 2), "Record of a Spaceborn Few". July 26th I think! Winter Igniting by Rebecca Zanetti. Love this series :) thanks for sharing! I am highly anticipating Immortal Reign (Falling Kingdoms #6) by Morgan Rhodes!! Child of a Mad God by R. A. SALVATORE looks right up my alley - can't wait!! "The Whispering Room" by Dean Koontz - this is the 2nd book in his new series and since the first was super suspenseful I am eager to get my hands on the latest release. American Panda is probably the one I'm most looking forward to, it sounds like it will be a cute romance, I like that it's set in college, and I'm always eager to read about a heroine who has a different background than my own. Daughter of the Siren Queen, because I loved the first book in the series so much and want to catch up with Alosa and Riden. I'm looking forward to The Outsider by Stephen King because he's the man. Not sure if it's a February release, but Ashes on the Moor by Sarah Eden because I love her books! Reckless by Lex Martin. I just love the way she writes. The Lost Castle by Kristy Cambron! Her stories are breathtakingly beautiful! The Lost for Words Bookshop by Stephanie Butland because it sounds like a fun/feel good book. My most anticipated book was Surprise me by Sophie Kinsella. American Panda by Gloria Chao. It sounds like a cute love story. The Belles seems very interesting, I'm eager to read it. Daughter of the Siren Queen! I've heard so many good things about the series. Vicki Delany's The Cat of the Baskervilles. This is a fun series. I just love Jayne & Gemma. From Lukov with Love by Mariana Zapata. It sounds interesting!